Researchers may be one step closer to developing new treatments for MS, after discovering a way to tame the erratic immune response that triggers the disease and reverse paralysis in mouse models of the disease. In MS, the immune system mistakingly attacks myelin - the protective coating of nerve fibers - in the central nervous system. When myelin or the underlying nerve fibers are damaged, communication between the brain and spinal cord is disrupted. This triggers an array of symptoms, including walking difficulties, numbness or tingling in the face, body, or extremities, and muscle weakness. In the new study, lead investigator Christopher Jewell, Ph.D., of the University of Maryland, and colleagues found a way to reprogram immune cells to stop attacking myelin in mouse models of MS, which restored the rodents' ability to walk. The researchers recently presented their findings at the 253rd National Meeting & Exposition of the American Chemical Society, held in San Francisco, CA. For their study, Jewell and team set out to create a more precise type of immunotherapy to prevent myelin damage in MS.
"The problem with current immunotherapies is that they aren't specific," explains Jewell. "They act broadly, compromising the entire immune system and putting the patient's health at risk, rather than focusing on only those immune system cells doing the damage." The researchers speculated that they could create a distinct immune response by targeting the lymph nodes. In autoimmune diseases, T cells - a type of immune cell - are programmed to attack healthy cells and tissues, and this programming occurs in the lymph nodes. By targeting the lymph nodes with an immune-modifying compound, the team thought it might be possible to prevent T cells from attacking myelin. To test their theory, Jewell and colleagues constructed an immunotherapeutic agent. To do this, the team used a polymer called poly(lactide-co-glycolide) to build a particle that can carry other compounds. Next, the researchers infused poly(lactide-co-glycolide) with the myelin antigen and an immune-suppressing agent, with the aim of "teaching" T cells that myelin is not a threat. The researchers then injected their immunotherapeutic agent directly into the lymph nodes of MS mouse models that had lost the ability to walk. The researchers found that the agent gradually reprogrammed the environment of lymph node tissues in the rodents. This led to the development of immune cells that traveled to the brain and halted the attack against myelin. 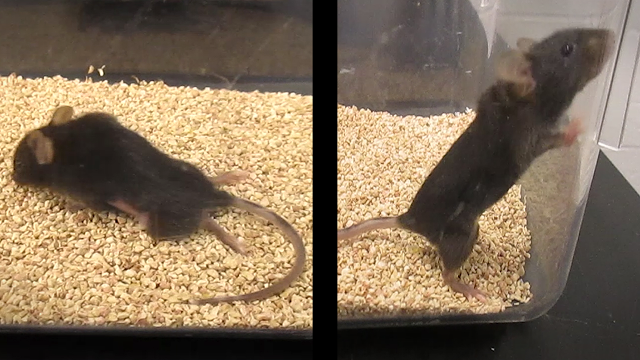 As a result, the mice regained their walking ability, and the effects of the agent lasted for around 80 days. Furthermore, when foreign molecules were introduced to the mice, their immune systems were able to respond quickly. This indicates that the immunotherapeutic agent did not interfere with normal immune function.